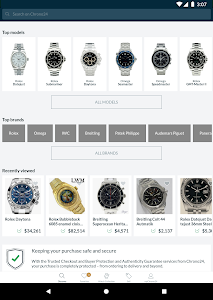 Buy your next watch easily and safely on Chrono24 - the world's leading marketplace for luxury watches. 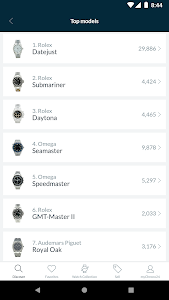 10 million watch lovers look for their dream watch here every month. 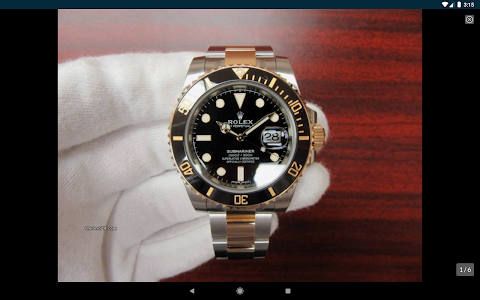 With the Chrono24 app you can hold the fascinating world of luxury watches in your hand. 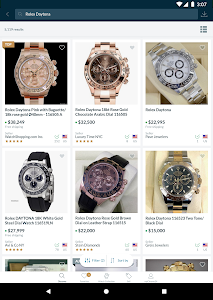 Find your new watch among over 350,000 offers from more than 18,000 screened dealers and private sellers. 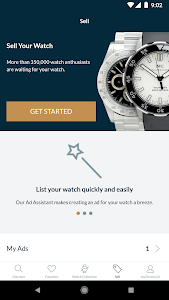 Benefit from our free Trusted Checkout, the safest way to your dream watch. 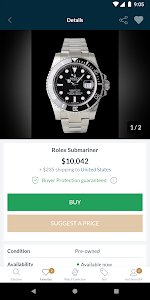 Order watches comfortably from the dealer of your choice and pay securely via an escrow account. The Chrono24 Team is always available to help with your purchase and make sure things run smoothly. Your personal area is the focal point of your passion for luxury watches. 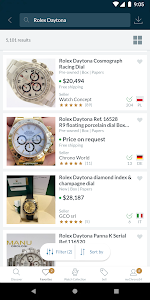 Here you can find your Notepad with interesting offers, saved searches, your communications with sellers and much more. And the best part? You're always up to date on all of your devices, be it a smartphone, tablet, or PC. While one of your watches is on your wrist, the rest are in your pocket on your phone. 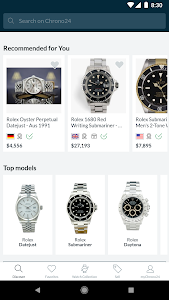 Manage your watch collection in the app, discover the current estimated value, and keep an eye on your watches' performance. 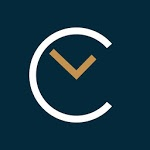 Chrono24 has been the global online marketplace for luxury watches since 2003. 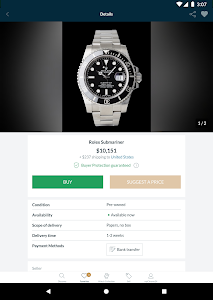 Here people from all over the world buy and sell watches from prestigious brands, such as Rolex, Omega, Breitling, Panerai, and IWC, and also enthusiast and vintage watches from small, independent manufacturers. 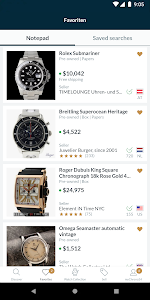 - Watch Collection: Is there an exciting change in the value of your watch that you want to share with your friends and contacts? 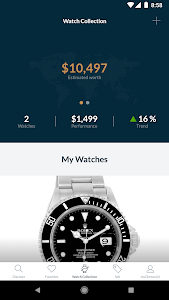 Share or send a picture of your watch along with its price development on all major social media platforms.